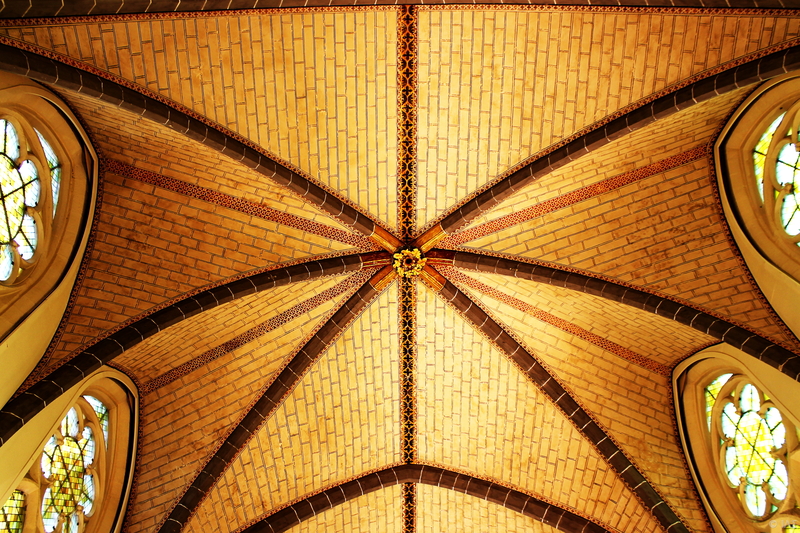 Today’s photograph is from Chapelle des Cordeliers, Clermont Ferrand, France. It is very rare that you can find such good light in the old cathedrals and chapels. But this Chapel was completely lit for an ongoing exhibition. As soon as I entered it, I was completely dumbstruck seeing the beauty of this small chapel and especially its ceiling. The lighting gave it a totally different look and we can clearly see the brick linings. The top of the windows along with the ceiling gives the resemblance of a flower.